*RESILIA tissue tested against tissue from commercially available pericardial valves from Edwards in a juvenile sheep model1. No clinical data are available that evaluate the long-term impact of RESILIA tissue in patients. Patients are living longer than ever before - and they want to live their longer lives to the fullest, continuing to enjoy their active lifestyles. The primary mode of failure for bovine pericardial valves is calcification. During tissue fixation and storage, tissue is exposed to free aldehydes; in vivo, calcium binds to free aldehydes. RESILIA tissue is bovine pericardial tissue transformed by a novel integrity preservation technology. 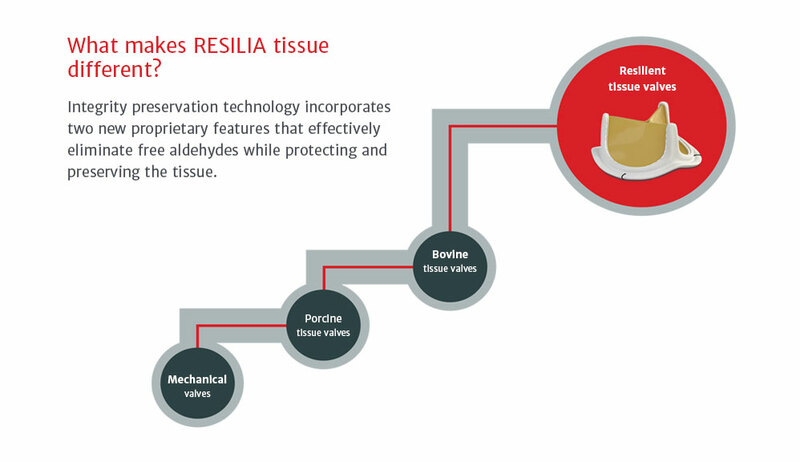 RESILIA tissue valves have been subjected to a rigorous development program over 12 years. It involved more than 100 evaluations of safety and efficacy, including a large, first-of-its-kind 8-month juvenile sheep study1. **RESILIA tissue tested against tissue from commercially available pericardial valves from Edwards in a juvenile sheep model1. No clinical data are available that evaluate the long-term impact of RESILIA tissue in patients. Flameng W, et al. A randomized assessment of an advanced tissue preservation technology in the juvenile sheep model. US Social Security Administration 1900-2100 Actuarial Study No. 120: 2005 (S-1598). 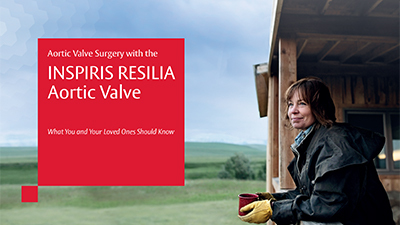 The INSPIRIS RESILIA aortic valve is the first offering in a new class of resilient tissue valves. The INSPIRIS RESILIA aortic valve is the first offering in a new class of resilient bovine pericardial valves. 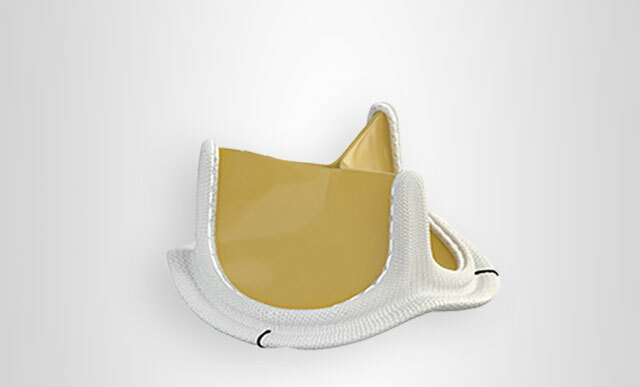 The INSPIRIS RESILIA Aortic Valve, Model 11500A, is intended for use as a heart valve replacement. 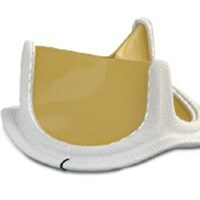 The INSPIRIS RESILIA Aortic Valve, Model 11500A, is indicated for the replacement of native or prosthetic aortic heart valves. ¥Refer to device instructions for use for important warnings related to VFit technology. These features have not been observed in clinical studies to establish the safety and effectiveness of the model 11500A for use in valve-in-valve procedures. VFit technology is available on sizes 19-25 mm. J Thorac Cardiovasc Surg. 2015;149:340–5. Bourguignon T, et al. Very long-term outcomes of the Carpentier-Edwards Perimount valve in aortic position. Johnston DR, et al. 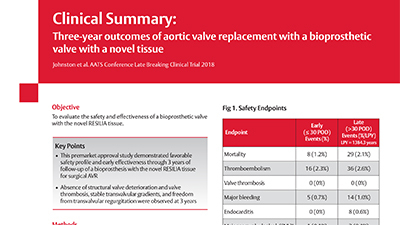 Long-term durability of bioprosthetic aortic valves: implications from 12,569 implants. Forcillo J, et al. Carpentier-Edwards pericardial valve in the aortic position: 25-years experience. Ann Thorac Surg. Please join Drs. 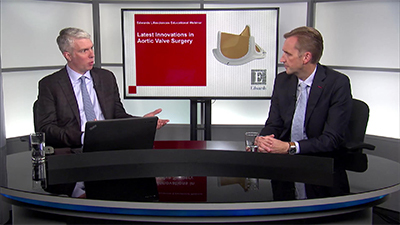 Patrick McCarthy, Bart Meuris, and Douglas Johnston, for an educational webinar discussing the preclinical evaluation of RESILIA tissue and the clinical applications of the INSPIRIS RESILIA aortic valve.